Just a quick post to recap my experience with usage of Client Integration Plugin in vCloud Director and its compatibility with current browsers. Client Integration Plugin (CIP) is needed in vCloud Director 8.20 only for import and export of templates and media images. It is not bundled in vCloud Director binaries anymore, instead the user is redirected to KB article with downloads for particular browser/OS combination. Cleanup your installed Client Integration plugins. Reboot your PC and install the one you need. Google Chrome seems to be working the best. It requires CIP version 5.6 as opposed to the other browser that need version 6.2. The newest Mozilla Firefox needs a tweak. Open URL: about:config and accept loss of warranty ;-). Create new boolean type row by right-clicking in an empty space, name it plugin.load_flash_only and assign value false. Reopen Firefox. Alternatively, you can download ESR release of Firefox which works out of the box from here. For Internet Explorer 11 you need to enable compatibility mode and add vCloud Director URL to the trusted sites. While Edge browser is supported for vCloud Director, it does not support any plugins and will not work with CIP. Note: VMware is working hard on removing these limitations in the future releases. Have you seen any issues with the vCloud console stopping responding after a random amount of time < 1 min with 8.20 release? After Making the change to IE as per your above article it appears the most stable of the browsers and i cant seem to break the console, Firefox seems to stop within 5 seconds (no CTRL-ALT-Del, no mouse no kb) and chrome may last up to 30 seconds. Is there a way to see any logs for this? Hi Tom, I have got an issue when I want to import a VM from vSphere into an existing vApp. The import stops with an error: Java Null Pointer exception. Could you import VMs from vSphere? Known bug fixed in 8.20.1. The workaround is to import to new vApp. Even after the integration plugin version 5.6 for chrome browser is installed, I still see the same pop up asking to download the integration plugin inorder to upload an ova to the catalog. This is vcloud version 8.20. Do we require any additional browser settings? 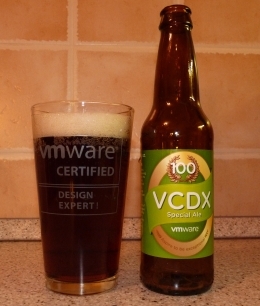 any update from VMware on the CIP and vCD 8.20 compatibility. Not one of the three browsers at the current versions work. I suspect Service Providers are working around this. Its indicative of the wider state of affairs since VMware decided to move from the C# client to browsers that were always going to be out of their control. The accessibility now for VMware products has taken a huge leap backwards both in quality and functionality in my view. I use Firefox ESR for now. VMware is working on HTML5 replacement for CIP. What do you think about current situation about CIP? CIP don’t work in current last versions of FF (52.4.1 64-bit ESR) and Chrome (62.0.3202.75 Official Build 64-bit). Two weeks ago Adobe released new version of his Flash Player (27.0.0.170) which crash all browsers. Now i have only one solution with working CIP – Internet Explorer 11 in my Windows 10 with downgraded version of Adobe Flash Player (25.0.0.127). CIP works for me with FF ESR 52.4.1 32 bit. Adobe already released Flash Player fix (version 27.0.0.183). As a CIP alternative for uploads/downloads you can use VCD CLI (https://github.com/vmware/vcd-cli).